Golf course views & privacy! 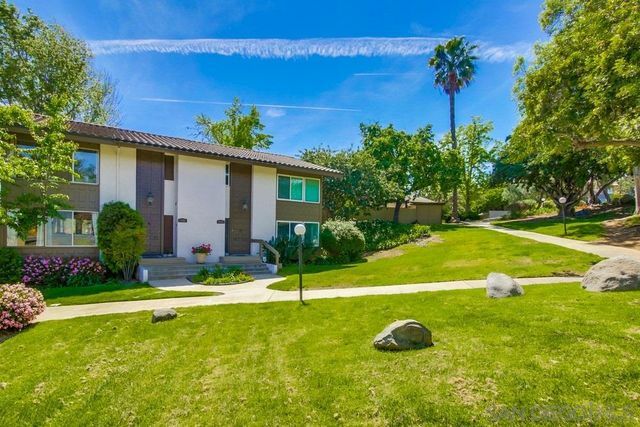 Lush landscaping surrounds this rare Mid-Century modern Eichler home you want to own. 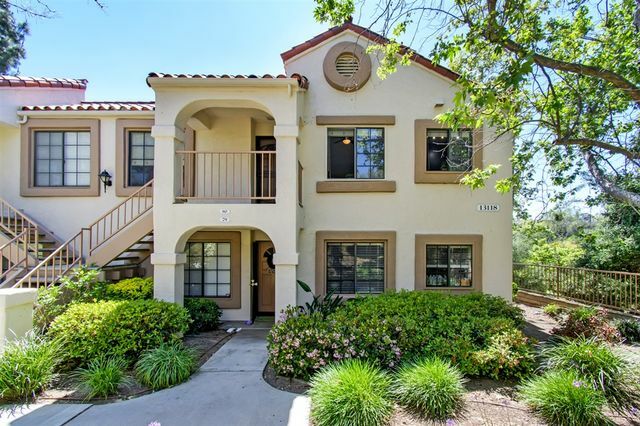 Highly upgraded townhome with dual master suites is walking distance through golf course to the RBInn for sport or spa, to district restaurants & shops, and to award winning schools and parks for an active lifestyle. Hard-surface flooring adorned with crown molding and color-infused custom lighting throughout, and nobody above or below to disturb your luxurious & serene living. Relax by the firepit and soothing fountain in your private backyard while enjoying a meal from the built-in BBQ. Newer stainless steel kitchen appliances and quartz counters. The master suite offers a walk-in closet and cozy fireplace. 4 bedrooms plus a bonus room provide space for everyone. Notice the oversized secondary bedroom with walk-in closet. The main floor bedroom has a connecting door to a bathroom with shower. 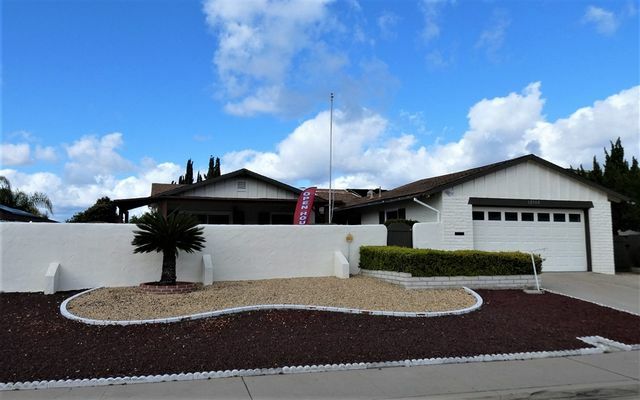 This corner lot home is located in the award winning Poway Unified School District. Now Available 2 see. GORGEOUS renovated single story charmer. Entertainers Kitchen- Quartz Counters, stainless steel appliances. Custom lighting - recessed LED, skylights, solotubes, ceiling fans and nu windows & sliders– so light & bright. Open floor plan; private front porch patio; extra SPACIOUS & permitted back room. Multiple fireplaces, beautiful bathrooms and so much more. So private, so peaceful. TOTALLY MOVE-IN READY- Immaculate. WOW!!! Come see your new home. U won't be disappointed. Fabulous upstairs condo in perhaps the best location in the complex with treetop views overlooking the creek and greenbelt. 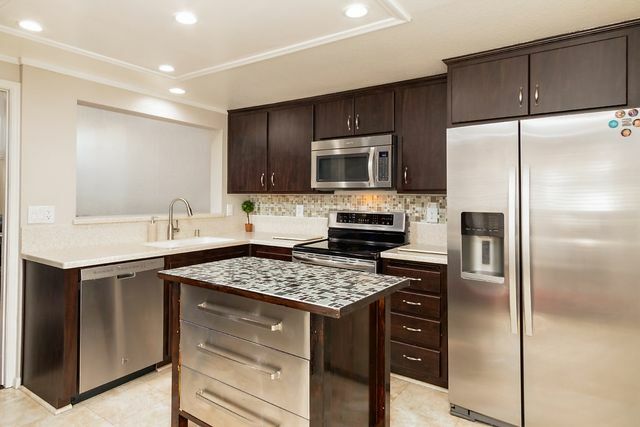 Stunning remodeled kitchen with stainless steel sink, gas range, granite countertops and modern tile flooring. Two large master suites each with their own bathroom. Beautiful breezes sweep through this home and it is just steps away from the pool. 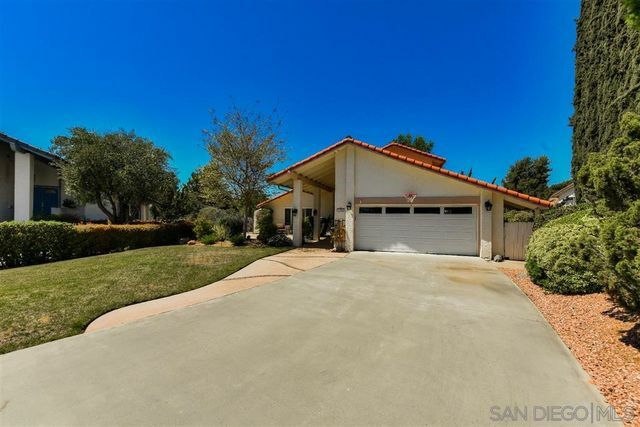 Close to Carmel Mountain Ranch shopping and dining, easy access to 15 and 56 for easy commute. HURRY, WON'T LAST!!! 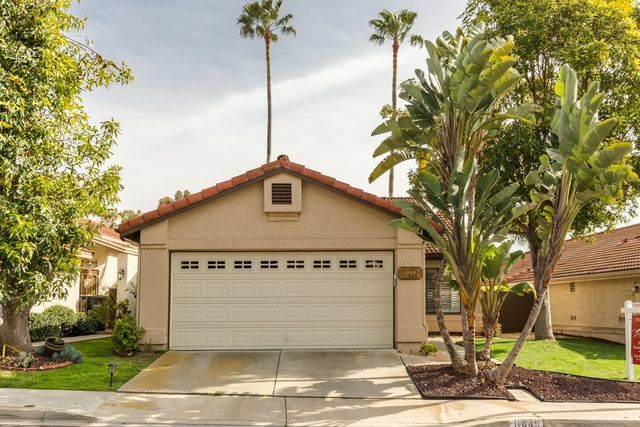 Welcome to your new single level home in the beautiful Rancho Bernardo community! This fully remodeled home comes Highly upgraded with quartz counter top, glass back splash, new stainless steel appliances, refaced kitchen cabinets, canned lighting, luxury laminate flooring throughout! Oh, don't forget the 20ft, vaulted ceilings that give this unit a great open feel! Turn Key property with no updates needed! Great for first time home buyer or individuals who live maintenance free! 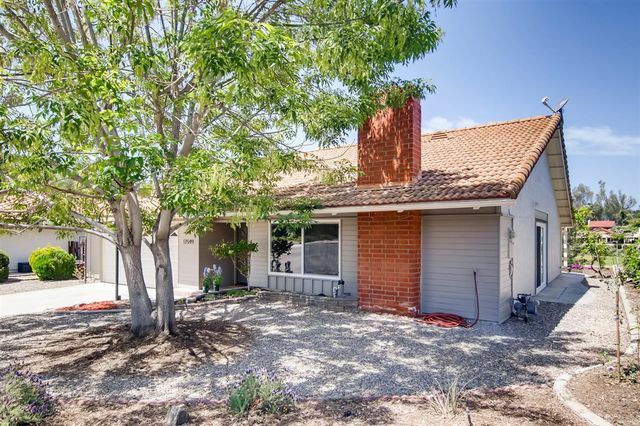 Completely upgraded Carmel Mountain Ranch home in Poway School District. Bright, open and vaulted ceiling in entry. Spacious backyard with large patio. 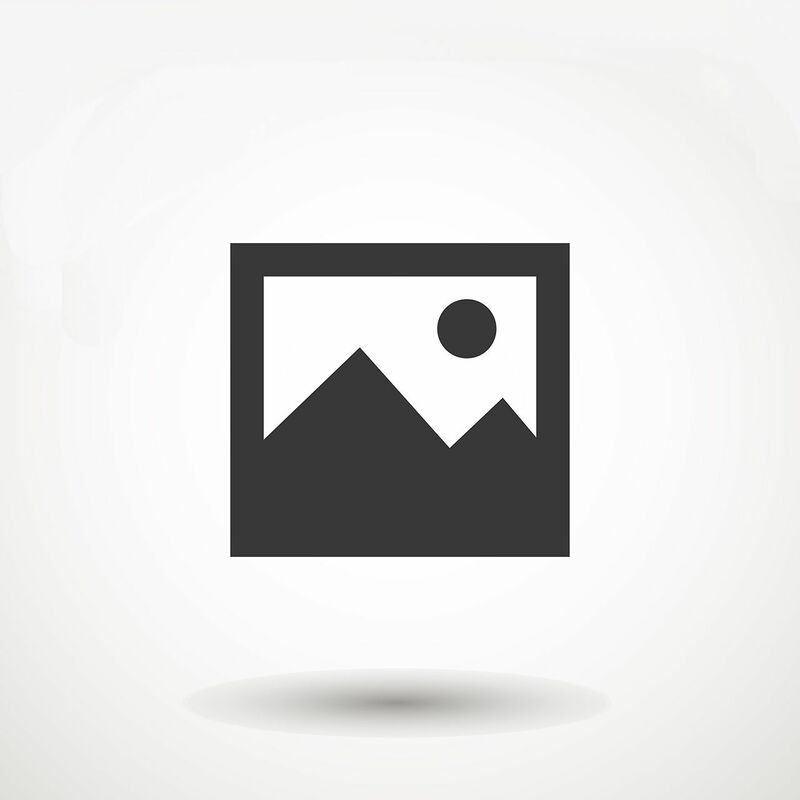 Walking distance to elementary school, park, library, dinning and shopping. Minutes drive to 56 and 15 freeway. New kitchen and all new appliances just finished. All three baths are nicely redone(2017) , new windows and sliding door, New AC and heating (2015), newer washer and garage door, newer laminate floor downstairs... DON'T WAIT, YOU WILL LOVE IT! 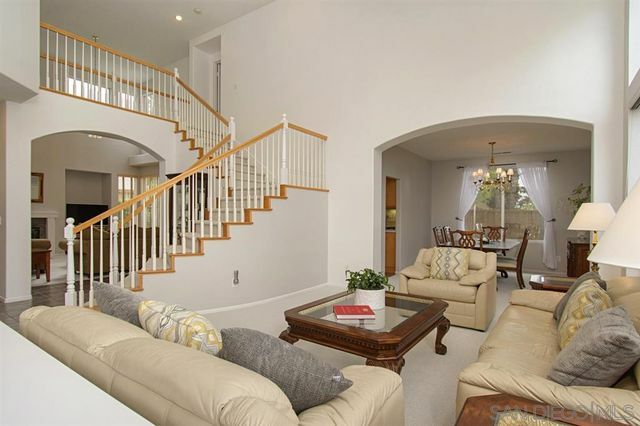 Fantastic Single Level Detached Home In Oaks North Community in Rancho Bernardo now available! Dine and relax on your private back patio while watching the sunset. Completely remodeled home with attention to detail - featuring: remodeled gourmet kitchen, stainless steel appliances, quartz countertops, walk-in pantry, island countertop, shaker cabinets, modern distressed tile plank flooring, LED lights, & room for a breakfast nook. Property located in cul-de-sac with views of Oaks North Golf Course!